The writer heads INSPIRING Pakistan, a progressive policy unit and is a Senior Fellow with UC Berkeley. ROGUE, terrorist, or evil states: there are so many states which have poor track records internally or externally. But are there states that can be held up as role models? First we must establish a set of criteria for identifying model states. Some admire wealthy states; others technologically advanced states and some those with militarily might. For me, model states must be economically successful, and invest in their people. They should also be democratic and excel on social indicators and human rights standards. They must behave responsibly regionally and globally and lead in the establishment of an equitable global order. So which states score high? One must start with the world’s economic, technological and military leader the US, surely in a class of its own on these dimensions. But once we judge it on social and political issues, it falls atrociously short. The quality of its democracy has been falling for decades as the role of big money in politics has increased. Its social indicators, eg poverty, divorce, and crime, are amongst the worst among developed states. It does not take climate change seriously. It has an appalling human rights record from Vietnam to Latin America. It is the biggest block in the way of the emergence of a just global economic and political order. All this was true even before Trump made things much worse. But if the US suffers from all these problems, its main enemies have their own sets of issues. Russia, China and Iran are its biggest adversaries, not in terms of standing against the US for a more just world order but to make the order more amenable to their own interests. Additionally, all three also have terrible domestic human rights records, unlike the US. Thus, their adversity with the US carries little promise of progressive change globally. Which state can set a good example? Tariq Ali’s Latin American Axis of Hope states (Cuba, Bolivia and Venezuela) deserve credit for challenging US hegemony boldly and aiming for egalitarian societies. But the lack of democracy in Cuba and its undermining in Venezuela as well as their economic woes make it difficult to project them as model states. My love for democracy exceeds my antipathy towards capitalism. So, if I have to choose between a state which is anti-capitalist but also undemocratic and a state which is capitalist but democratic, I will generally choose the latter. The ideal of course would be a state which is both democratic and non-capitalist. But such a state does not exist yet. Many developed states in Europe and East Asia, eg Japan and Germany, do better overall than the US on these dimensions. But among developed states, I would rank Scandinavian states the highest. They rival the US on many non-size-related economic indicators, e.g., competitiveness and innovation, and have far superior social indicators. They have taken greater strides than others to set up egalitarian, environmentally sustainable societies. They do not have the atrocious human rights record globally that the US, Russia etc. hold and are among the most generous donors for poor states. The one area where one should critique them is about not being more vocal against the unfair global order that the US leads and in fact they indirectly do benefit from it given the complex nature of global economy. Still, it is difficult to think of states which do better than the Scandinavian states on the criteria I mentioned earlier. It is impossible to identify developing states that do very well on all those criteria. But there are some which have done better than other developing states in avoiding internal and regional conflicts or high crime; maintaining acceptable levels of democracy; attaining some economic stability and investing in their populations. While most of sub-Saharan Africa has seen conflict, poverty and autocracy, Botswana has established itself as stable democracy and economy, at peace internally and regionally. Its natural resources and ethnic homogeneity have helped. Mauritius is another state which has done well even without these two factors. In Asia, Bhutan and Sri Lanka have done better than others on all these dimensions though both have mistreated ethnic minorities. In the Americas, Costa Rica and parts of the Caribbean do well. But all these are small states. Among larger states, Brazil and Indonesia do better than others. What about Pakistan? Can it be considered economically successful, democratic, peaceful, and respectful of human rights even by the standards of developing states? Perhaps less crowing about its undefined ideology and more focus on practical issues may help it gain a more respectful rank within the comity of developing states. You can look for a perfect system and not find one - they all fall short. Pakistanis have consciously selected Sharia as their constitution - covertly or overtly. The consequences are here to stay - just open your eyes. If that is the best pakistanis can do, then the system has to share the blame. Pakistan is not a model state by any stretch of imagination but this article essentially focuses on the role of governments into turning states into model state and that is where most comments might be directed. But the role of public is much more critical. We can talk endlessly about military spending or inept and corrupt civilian leaderships but the biggest corruption in Pakistan is runaway population explosion, for which, responsibility rests totally on social/ cultural and religious practices. You left out shining India. In the developing world, it is the one country that has consistently improved on equality, freedom of expression, Democratic values, rule of law, social indicators and economic indicators and it enjoys good relations with almost all countries. 'Role model states' vary enormously depending on the country for whom the role model is being sought, each country has a different 'fit. In Pakistan's case I think Malaysia or Indonesia would be good examples to follow (large, young Muslim majority population with a traditional outlook and lots of ethnic diversity). 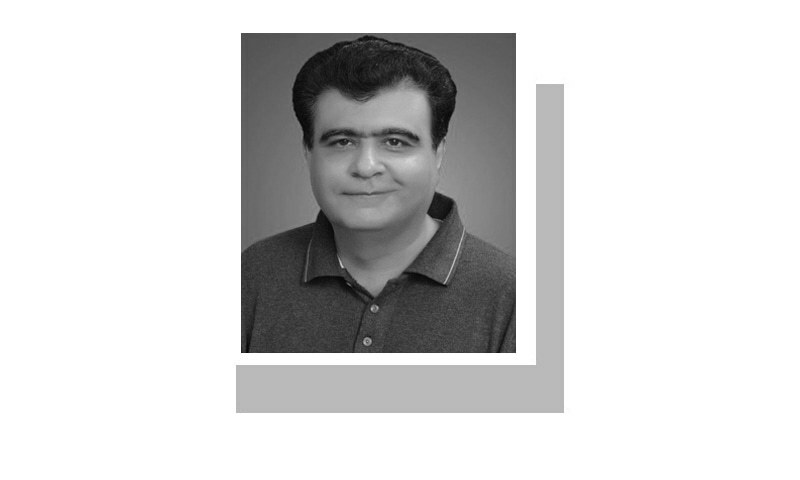 The Scandinavian model, as idyllic as it is, is simply incompatible with the Pakistani mindset. I love this article which addresses issue close to my heart. The Scandinavians appear to have figured out a very just system compared to the rest of the world. It is universal justice (social as well as legal) equally applied to all citizens, tempered with compassion, that sets them above others as a model to emulate. They also have responsive and representative leadership which are necessary for any form of modern state to move forward. @Rahul "You left out shining India." Good joke, thanks for your sense of humor. Keep it up. @Secular Pathan "West is Scandinavia too, the best place in the world now. " It is easy to be a model state when under guaranteed protection from a state which is not. The test for all these countries i.e, Germany, japan, Scandinavia etc, will be they will arrange their own security. When your security is threatened, it is hard to act in a humane fashion. Since the US is hinting towards the end of guaranteed security arrangement, the far right is rising in these countries. Last question is interesting, but answer is NO. Regarding the lack of democracy in Cuba, the US has long sought to make Latin American countries follow its dictation often through subversive means. The openness a democracy requires would more easily enable US subversion to bring about regime change, especially in a small country like Cuba. Just consider Chile under Allende: a government of the left elected freely is then overthrown by US agents in 1973, imposing a brutal neo-liberal dictator, helped immeasurably in their evil work by the fact that Chile was then relatively open and free, unlike Cuba (as Castro had warned Allende). The Scandinavian societies so admired here, were not "interfered" with in this manner by the US. After all what so many leaders of the "Pink Wave" of recent years in Latin America wanted, be it Chavez, Correa, Morales etc, was not undemocratic socialism, but also a form of capitalism tamed by social democracy, only they had to do it under the shadow of relentless US hostility, with consequent distortions. The so called Scandinavia comprising Denmark, Norway, Sweden, Finland, and Iceland is just a bubble. They never had the visit of an apocalypse like a ww1 or ww2. They were never under the exploitation of colonial powers like France, Spain, Dutch and England. They are monotheists, simply Christians and don't like other religions to infest. They have only 4 languages. They live in their own delusions. Freedom is music, color, dance and a lot of dissents. Do they have that? "The ideal of course would be a state which is both democratic and non-capitalist. But such a state does not exist yet." Why does everyone forget Sweden? Sweden is a "socialist" and democratic country! There are two countries that the world should follow, Sweden for it's economic model and democracy, and Bhutan for it's preference for "citizen's happiness index" over "GDP"! A country's GDP does not always(or never) translate to citizen's happiness. The ideal state can be capitalist - where one's hard work and intellect are rewarded. "For me, model states must be economically successful, and invest in their people. They should also be democratic and excel on social indicators and human rights standards. They must behave responsibly regionally and globally and lead in the establishment of an equitable global order. " The last point, to "lead in the establishment of an equitable global order" is especially interesting. "Equitable" means "fair and impartial". Not every culture has the same idea of fairness and many, many people dismiss the idea of being impartial in practice, even if they pay lip service to such an ideal. To such people, even if someone does appear on the stage who embodies the qualities the author lists, is it likely that he or she would be cited as an example, or would it be more likely their reputation would be disparaged by a barrage of false accusations? The state of Oman is one good example. We are a model state ...a unique model where right is wrong and wrong is right...It is unfortunately none too well understood that, just as the State has no money of its own, so it has no power of its own. All the power it has is what society gives it, plus what it confiscates from time to time on one pretext or another, there is no other source from which State power can be drawn. Therefore every assumption of State power, whether by gift or seizure leaves society with so much less power; there is never, nor can be, any strengthening of State power without a corresponding and roughly equivalent depletion of social power..